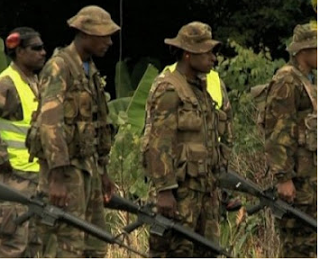 The Papua New Guinea Defence Force Band has been given a major boost of a grant of approximately 340-thousand Kina. The grant from the Japanese Government through its Grant Assistance for Cultural Grassroots Projects will go towards the purchase of a thirty-two men band set. The grant was officially signed by the Japanese Ambassador to PNG Mario Matsumoto and PNG Defence Force Commander Lieutenant Gilbert Toropo in Port Moresby today. Commander Toropo thanked the Japanese Government for the kind and important gesture. Ambassador Matsumoto appealed to the Force to manage the band set well in order to build and enhance the capabilities of the band.